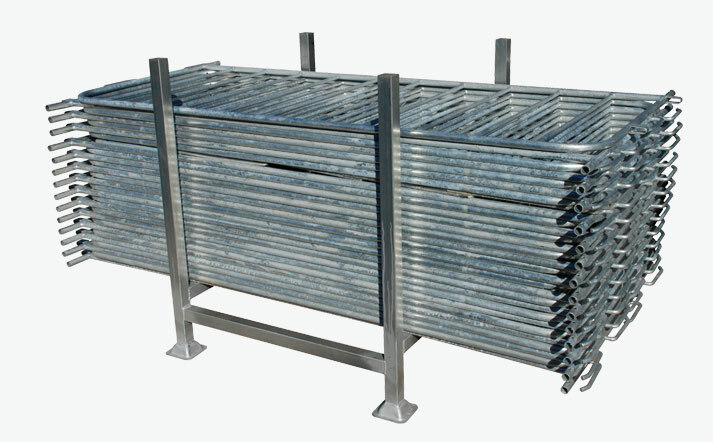 The Fortress crowd control barriers are a system of interlocking free standing panels. Simple to install, durable and easy to stack when not in use-they are ideal for public events, sporting venues or worksites. The sturdy design of our crowd control barriers, galvanised finished and ability to bolt down the feet makes this the ideal choice in temporary crowd control. 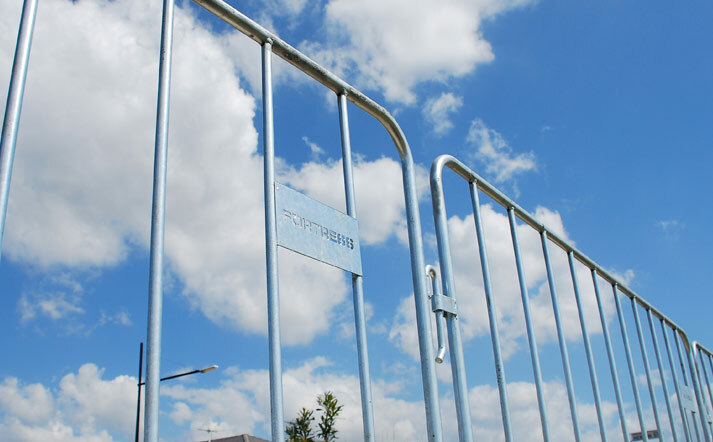 When you’re looking for quality crowd control fencing, think Fortress Fencing. Our crowd control fencing is ideal for public events, sporting venues or worksites ensuring your safety, your staff and guests’ safety, and the overall safety of your property. 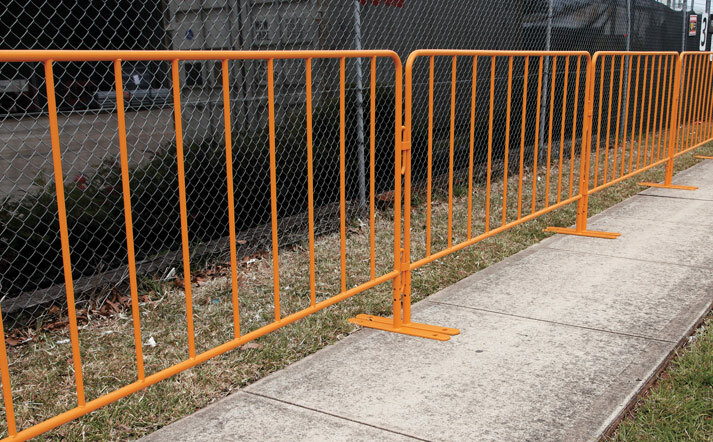 At Fortress Fencing, we specialise in manufacturing and delivering high quality temporary crowd control and road safety products, including exceptionally safe crowd control barriers. 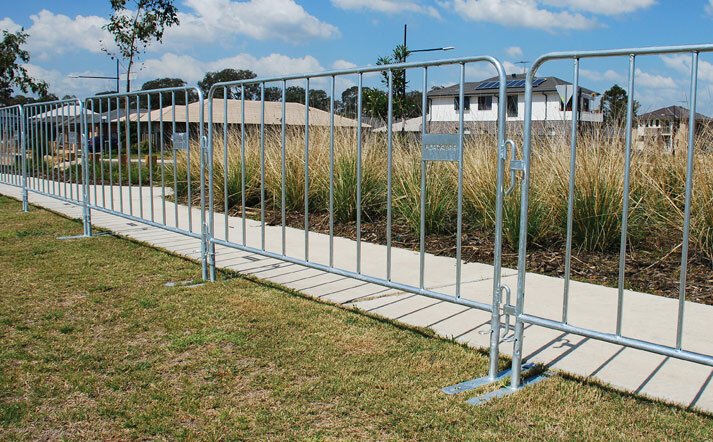 Our steel crowd control barriers and safety barriers are Auckland’s choice when it comes to safe crowd control. They’re also one of the only barricades on the market that feature dual interlocking hinge points, making them the sturdiest and most ideal choice of barrier. 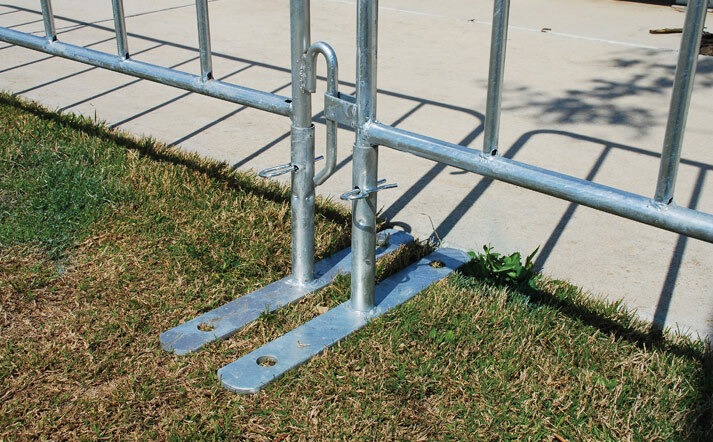 Fortress fencing’s crowd control barriers comes fully loaded with features. Our fast mounting, interlocking system makes installation a breeze and our panels also offer removable feet, so once the feet are removed stacking and storing panels is simple. Low intrusion flat feet prevents trip hazards ensuring your staff and your guests stay safe. Our crowd control barriers also come with pre-drilled holes for bolt-down installations and will ensure you meet OH&S requirements, whilst providing maximum safety to workers and pedestrians. This superb fencing option is available in 2 fully welded finishes, galvanised steel silver barrier and highly visible orange powder-coated steel barrier. Feet are also available separately for purchase. If you have any questions about the best crowd control fencing available in AKL, or if you’d like a free quote, call us now on 0800 865 292. You can also use our simple online contact form and one of our team will get back to you as quick as they can. We look forward to helping you find your ideal fencing solution soon.